Teflon sheet is used commonly when using a heat press to transfer designs onto fabric. It prevents ink from staining and transfers from sticking to the heat plate. Telfon eliminates scorching on products. It can help to prevent the ghosting effect often created by the paper sliding across the shirt during the lifting of the plate. It is used as a weight, keeping the transfer paper in place to ensure perfect results! 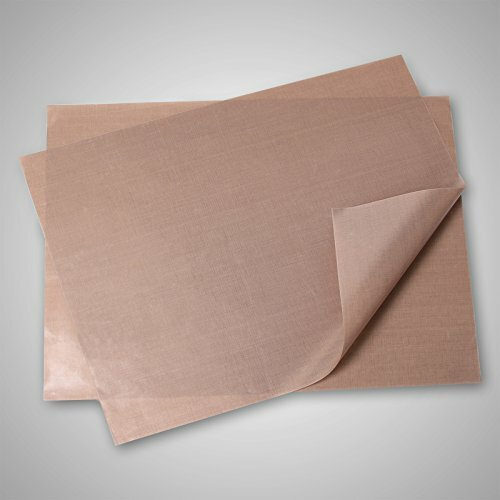 Teflon sheet for heat transfer printing. Use for applique, general purpose ironing and craft projects. Glues,paints,waxes,clay and interfacing will not stick to the sheet.